Heat oven to 450°F. In medium bowl, stir Bisquick mix, cheese, milk and 1/2 teaspoon of the rosemary leaves until soft dough forms. On ungreased cookie sheet, drop dough by 9 spoonfuls. Bake 8 to 10 minutes or until golden brown. 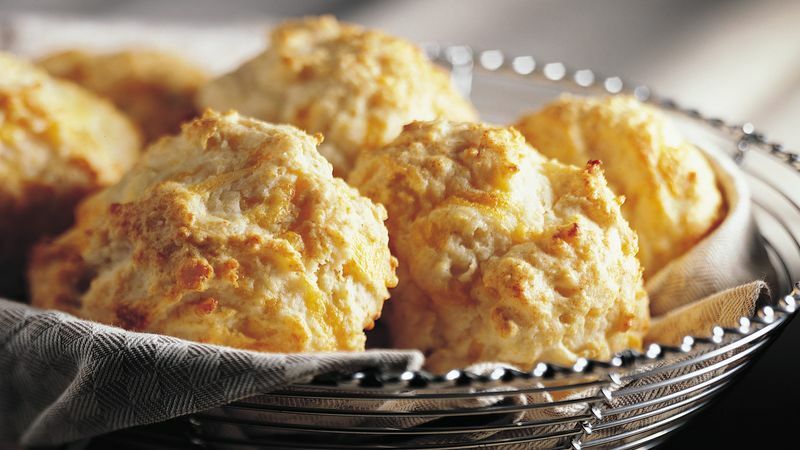 In small bowl, mix butter, garlic powder and remaining 1/2 teaspoon rosemary leaves; brush over warm biscuits.